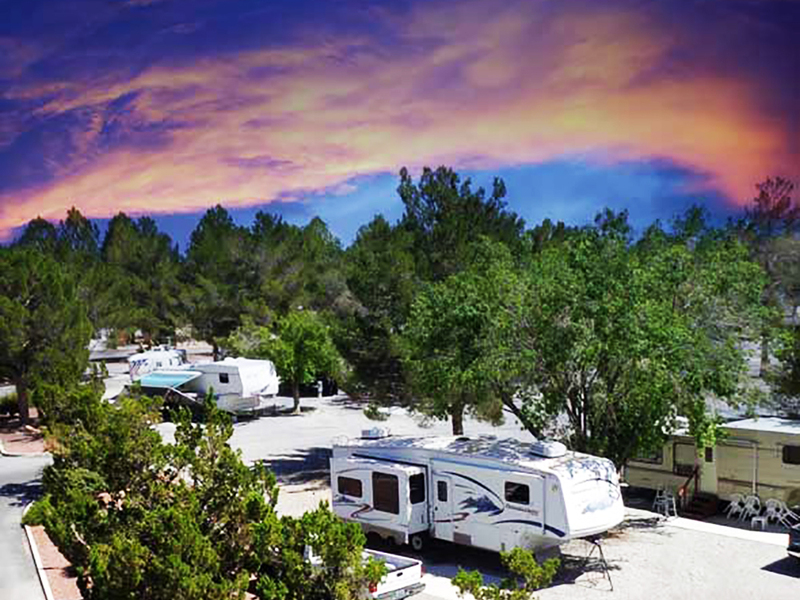 Why choose Preferred RV Resort for your next RV Rally? One of the best locations in Pahrump – in the heart of downtown within close walking distance to casinos, shopping and dining. “We’ll make you feel at home.” We hear that comment from our guests more than any other. 270 sites (more than any other resort in town) spanning 23 acres. Several different indoor/outdoor facilities for your meetings, socials, barbeques, etc. Ten park-model cabins for those without an RV. And did we mention location? You can walk to EVERYTHING. Why Choose Pahrump when you could go anywhere? Easily accessible from almost all points in the southwest and northwest over good highways. SMALL TOWN. No traffic. Easy in and out. New friends waiting around every corner. Mid-way between Las Vegas and Death Valley (about an hour to each), along with many other regional attractions. Always something to see and do. 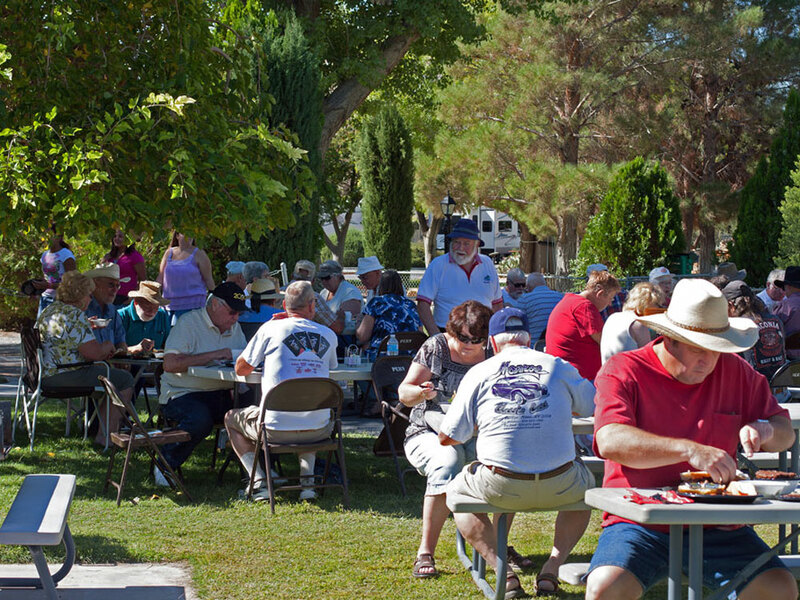 Check out www.visitpahrump.com for all the latest events. Groups We’ve Hosted: Monaco International (co-hosted with Best Western-Pahrump Station, Pahrump Nugget and Gold Town), May Madness/Turbo Diesel Register, Beat the Odds, Las Vegas High Rollers, Over the Hump Travelers, Pahrump Valley Dust Devils, Las Vegas Rolling Wheels, and others. Group Rate: Typically $25.00 / night, tax included. For most groups, we do not charge fees for the use of the buildings and outdoor facilities. We also do not usually charge for the use of equipment such as a projector, screen, microphones, tables & chairs, etc. (unless it’s something we have to rent). 110 person capacity (80-90 for meal service). Ideal for meetings, seminars, vendor displays, social gatherings and games, receptions, and meal service. Features include a small commercial kitchen, integrated wireless sound system, large adjoining bathrooms, dance floor, flexible table & chair arrangement, and plenty of nearby parking. 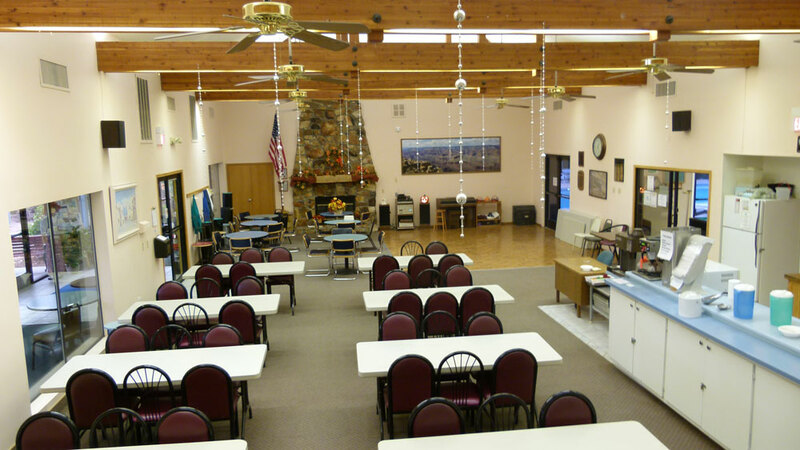 For more formal banquets or larger groups, we can help coordinate with the Pahrump Nugget, which is right next to us. Their large multi-purpose “event center” offers unlimited meeting and food & beverage options. 40 person capacity. 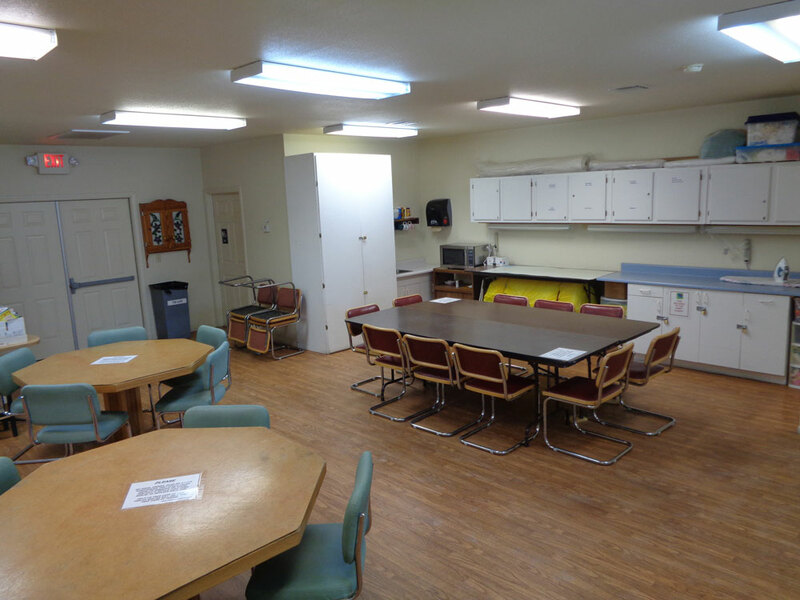 Ideal for small group meetings and seminars, potluck socials, arts & crafts activities, and other social gatherings. Features include men’s and ladies restrooms, flexible table & chair arrangement, and plenty of nearby parking. 15 person capacity, 8 at the table. 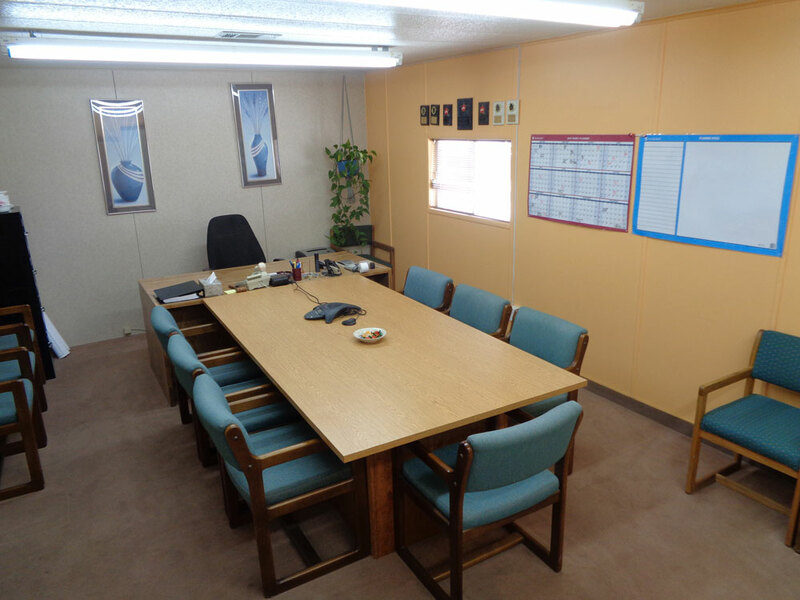 Ideal as a private meeting space for chapter board meetings, planning sessions, or any small “closed door” session. Located within the Resort’s office building, which allows immediate access to speaker phone landlines, WiFi, copy, fax and a public computer/printer. Restrooms are located within the office building. 200-300 person capacity, depending on the function and setup. Ideal for large outdoor gatherings of any kind including barbeques, buffets and receptions. Outdoor concrete stage on the north end of the lawn. Also features a spacious covered barbeque service area. 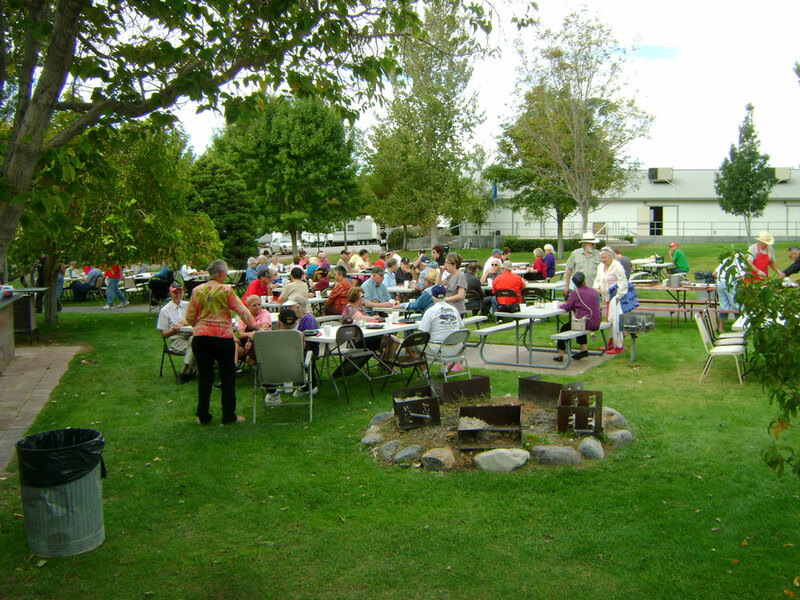 Green grass, tall trees, picnic tables and extra tables & chairs as needed. Further equipped with portable propane grills and a charcoal grill pit area. Situated close to the Clubhouse, which provides immediate access to sizeable bathroom facilities and the swimming pool.